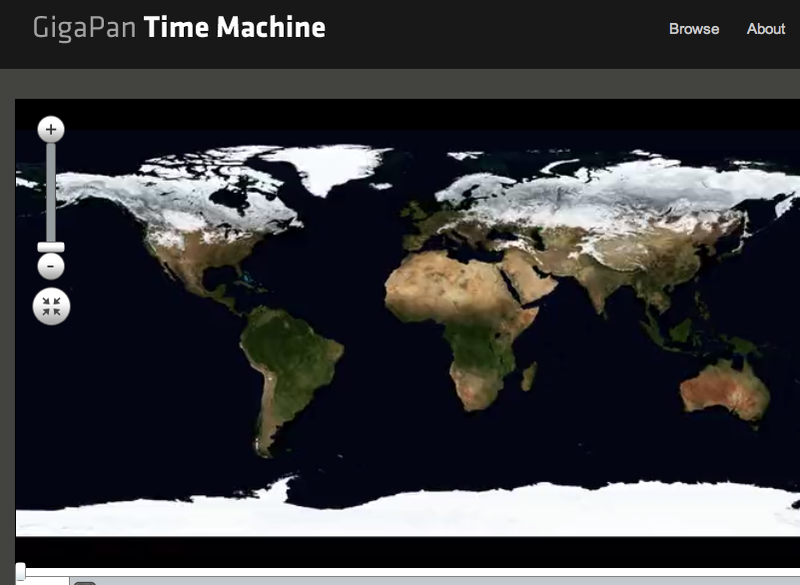 After months of collaboration with Google, and to coincide with yesterday's 40th anniversary of the Landsat program, the Time Machine team is proud to showcase interactive timelapses of the Earth's surface. With them you can travel through time, from 1999-2011, to see the transformation of our planet. Imagery from two different satellites were used, one from MODIS and the other from Landsat. Seeing is believing, and with this software (+ accompanying video tours) you can witness with your own eyes the rapid urban growth of areas like the state of Nevada in the US or Duabai in the Middle East, the deforestation of the Amazon in South America, and the drying of the Aral Sea in the Middle East. 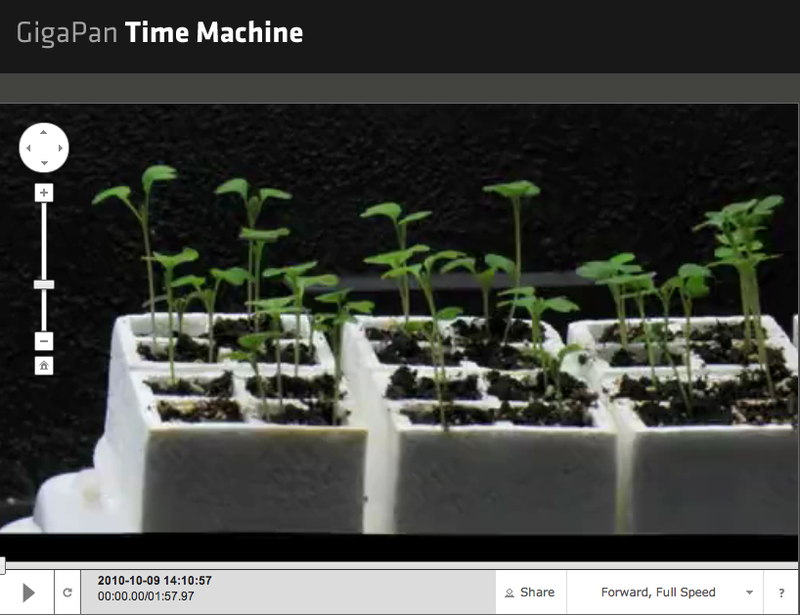 GigaPan Time Machine enables simultaneous exploration of space and time across massive datasets that could not previously be interactively explored. The rapid growth of Las Vegas, Nevada between 1999 and 2011 is visible in this Landsat timelapse tour. Landsat timelapse tour of the Amazon rainforest shows the spread of deforestation between 1999 and 2011. 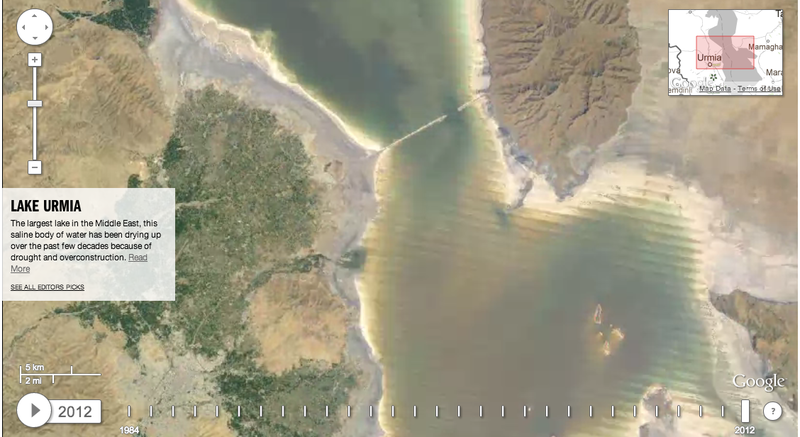 The drying of the Aral Sea between 1999 and 2011 depicted in this Landsat timelapse tour.